This is a rectangular Kodak Developing porcelain sign. This particular Kodak Developing sign is predominantly blue with white text. 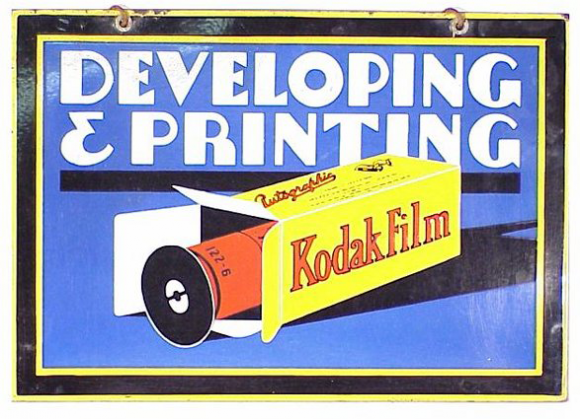 It reads, “Developing & Printing Kodak Film” and features an opened yellow box of Kodak Film with a red film case inside.